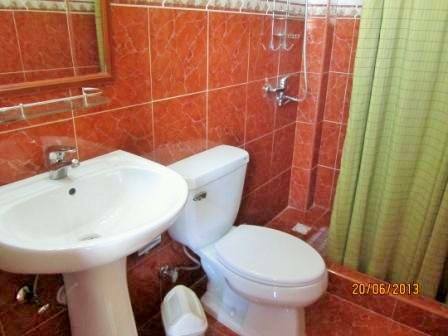 Your Own Private Apartment in Vedado! 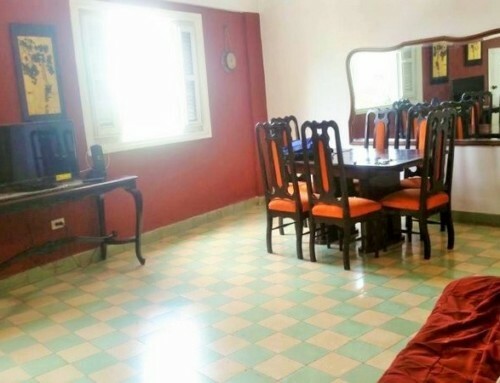 Casa Particular Gustavo is a completely independent, second floor, one bedroom, apartment just steps to the University of Havana, and directly adjacent to Biology Department. The apartment is about 400 sq.ft, offering a large, living room with a kitchen and an equally large bedroom, with en-suite bathroom. You are given the keys to the apartment and can come and go in complete privacy. 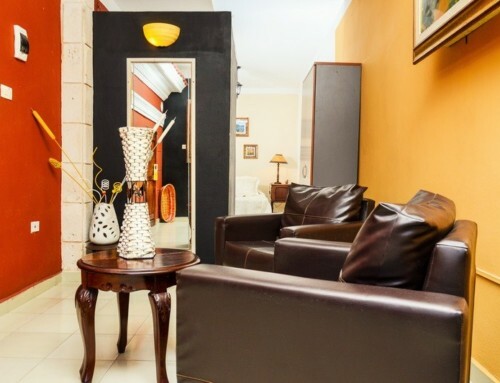 It is located about 2 minutes walking distance to the Habana Libre hotel, which offers internet access and WIFI. In terms of privacy and location, this apartment has it all. Despite being close to all the action, this sunny and airy apartment is surprising quiet. There is a private phone in the apartment, as well as a television and modern air conditioner. As an added bonus, there is a small cafe on the ground floor of the building, serving wonderful sandwiches during the day. You can wake up every morning to the sweet smell of freshly brewed coffee. Some English is spoken. Gustavo also has another apartment (2 bedrooms) for rent in the same building. If you are traveling with a group of people, you can rent both apartments together. Reserve Casa Particular Gustavo right now, or ask the landlord a question! We stayed at Casa Gustavo for 4 nights recently – in a fabulous location, very clean and spacious. Fabulous eateries close by that are very reasonably priced. We had a wonderful time with Casa owners fabulous Gustavo and beautiful family. 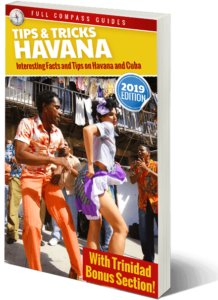 Just got back from the best vacation in Havana Cuba where I stayed in Gustavo’s Casa Particular in the University neighborhood. While Cuba was amazing and wonderful, my buddy Paul (who invited me) and I, agree that the best part of this trip were the wonderful Cubans. From the minute we arrived at the apartment, Gustavo treated us as if we were family coming to visit with him and his wonderful family. His son Kevin who was at hand to help was jus ast lovely. I highly recommend this apartment. We were just one street over from the main blvd where you could hail a cab, and there were great places to eat all around the hood. Gustavo was always at hand for advice on anything and was even disposable to make sure we were getting the most out of our experience. We were even honored to have a meal with his beautiful wife, Kendra and his younger boys Kaylor and Kenneth. You can’t go wrong staying in Gustavo’s place! Can’t wait to go back. Gustavo is a good friend of mine. He is a great guy. So friendly and charming. He goes the extra mile to make sure people are happy and he loves to chat and share his culture and learn about the lives of other people. He truly loves life and it really shows. I am very glad you had a wonderful time at his casa particular and I will send him this message just so that he know. He loves feedback. Have a great days and thanks for this message! Thank you Mario. Please let him know Paul and I miss him and his family and hope to return back to Cuba sooner than later! 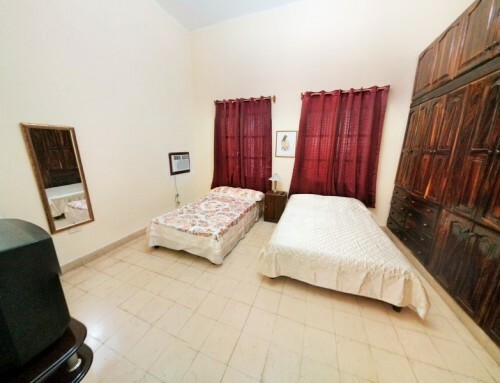 I enjoyed a recent four night stay in Gustavo’s 1 bedroom casa particular. 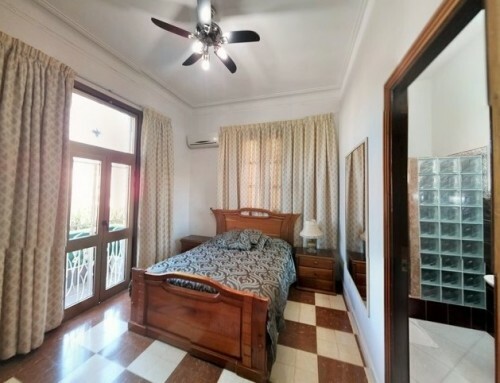 The property’s central location in Vedado met my expectations; at just one block from Avenida 23, it is conveniently in walking distance to a variety of banks, hotels, restaurants, and music venues along La Rampa, as well as many taxi and bus options. It is also within a 15 minute walk to attractions like Callejon de Hamel, and the Malecón. The unit itself is in a nice residential building; it is a charming space with high ceilings and large shuttered windows that open up the living area to the street. A set of interior french doors allows the unit to be combined with the adjacent 2 bedroom, 1 bath unit, creating a 3 bedroom, 2 bath apartment that takes up the entire floor of the building. As great as the property is, the best part of the experience was with the landlord, Gustavo. 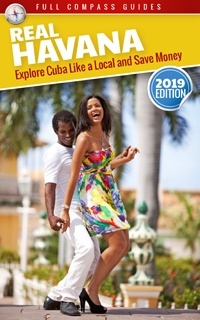 As a first-time visitor to Cuba, I found him to be extremely helpful. 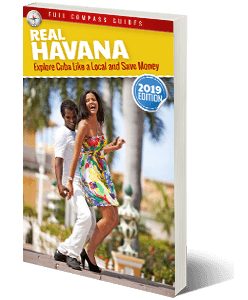 His friendly knowledge, advice, and assistance regarding currency exchanges, transportation, and souvenir shopping shortened my learning curve, and freed up more time for me to spend immersed in Cuba’s people and culture. Thank you, Gustavo; you made my first trip to Havana an enjoyable one! We stayed in the one bedroom apartment for 7 nights last month and found Gustavo to be a very helpful and charming host. He speaks enough English to hold a basic conversation and was very helpful in planning our day trip to Vinales. 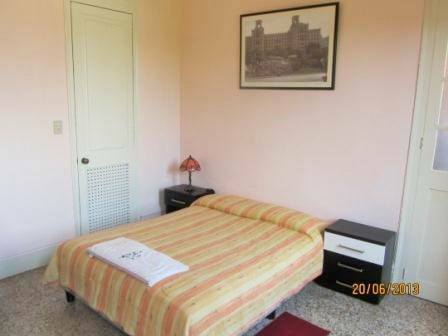 The apartment is in Vedado a very safe, residential area of the city close to the university with many restaurants close by. There is a small place a couple of doors away where you can buy wifi cards for 2 cuc and a good Italian restaurant directly across the street. 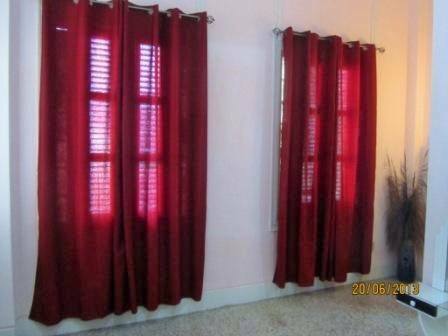 It has it’s own secure entrance, large bedroom with full size bathroom, cable tv, a phone for local calls, a small kitchen and a living room. We also visited Gustavo’s 2 bedroom apartment which is located next door. 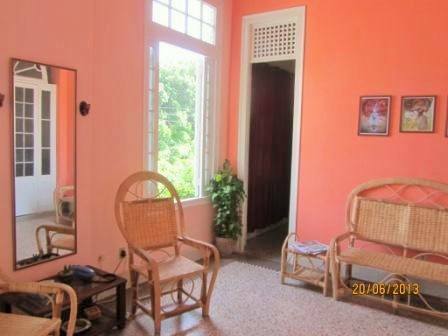 This is a truly lovely place with a full kitchen, beautiful old furniture, perfect for 2 couples or a family. We hope to return next year. Thank you Gustavo! 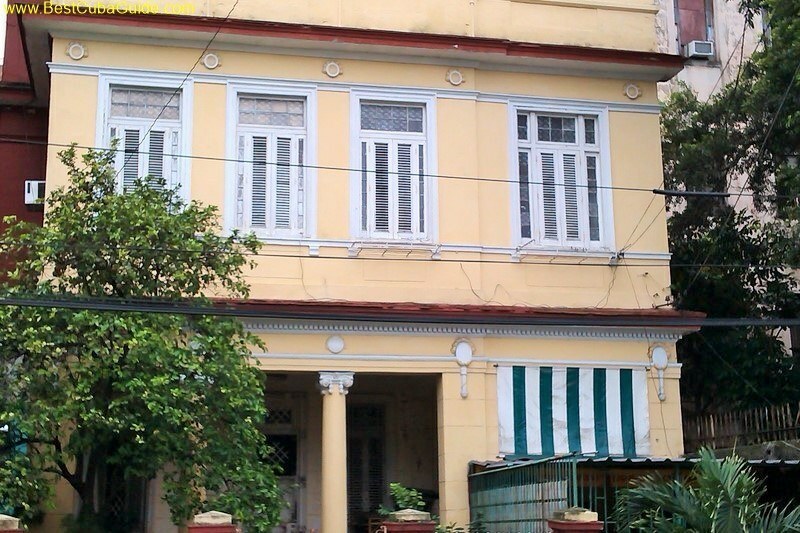 Just returned from a 7 night stay at Gustavo’s 1 bedroom apartment in Vedado. 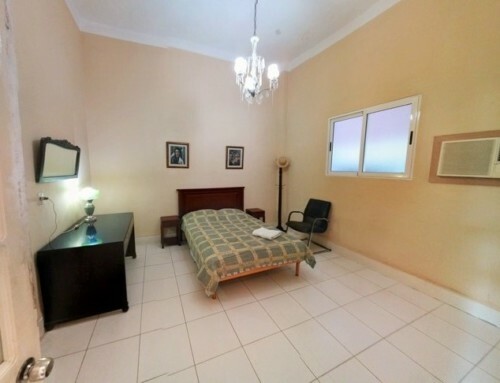 The apartment has a large bedroom with aircon, a nice living area with wifi, tv and land line telephone connection. The interior is decorated in the 50th style. The bathroom has a shower with hot and cold water. 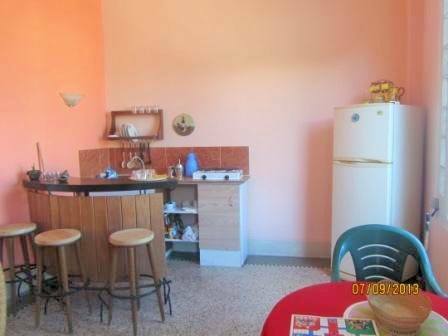 The small kitchen has a stove, a ref and all necessary utensils.